Steve Gleason is a former NFL safety with the New Orleans Saints who has been diagnosed with ALS. His battle with the illness has inspired countless individuals as he's made his fight very public in hopes of raising awareness and research dollars for ALS. His foundation Team Gleason is dedicated to finding a cure for ALS. This morning Gleason wrote SI's Monday Morning Quarterback column in place of Peter King, doing so with his eyes. Gleason can't eat, walk, or speak on his own. Also this morning, Mayhem In The AM on 790 The Zone in Atlanta did a bit mocking Gleason and his illness. 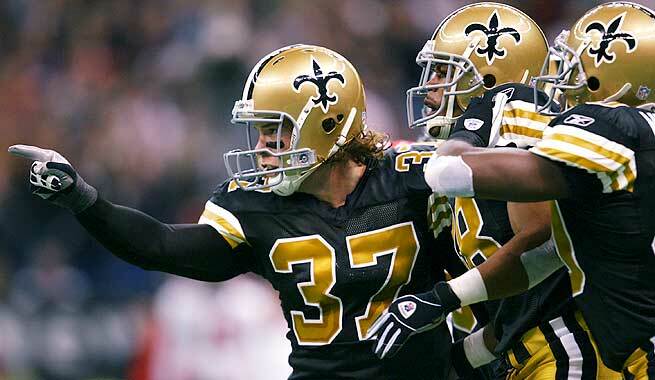 Outrage has emerged from all over the country, even from Gleason's former teammate Scott Fujita. The hosts of the program are Steven "Steak" Shapiro, Chris Dimino, and Nick Cellini. Cellini has already apologized on Twitter for what happened. "We deeply regret the comments made by Mahem In The AM this morning on 790 The Zone regarding former New Orleans Saints player Steve Gleason. 790 The Zone, Lincoln Financial Media, our sponsors and partners in no way endorse or support the unfortunate and offensive commentary concerning Mr. Gleason this morning. The members of the show involved with this incident have been suspended indefinitely pending further management review of their actions." Just another example of sports talk radio obliterating the lines of common decency and class. Seriously, what is it with sports talk radio that it produces these stories more often than other mediums? More on the story as it develops. Host Nick Cellini called in as Gleason and proceeded to talk back and forth then attempts several knock-knock jokes with the last asking to smother him. Steak immediately asked the text line for 20 listeners if that was a good bit and if they need to have any more bits involving Gleason. Nick has done bits before dealing with disabilities (one was even included in Mayhem promos). With the station now owned by Lincoln Financial, this is going to be bad for the trio.